The club has seven different groups for children – ‘Panpans’, ‘Découverte’, ‘Initiation’, ‘Détection’, ‘Ados-Loisirs’, ‘Pré-Compétition’ and ‘Compétition’. We also have an adult ‘Loisirs’ section which was launched in 2015. Here is a brief explanation of each group. 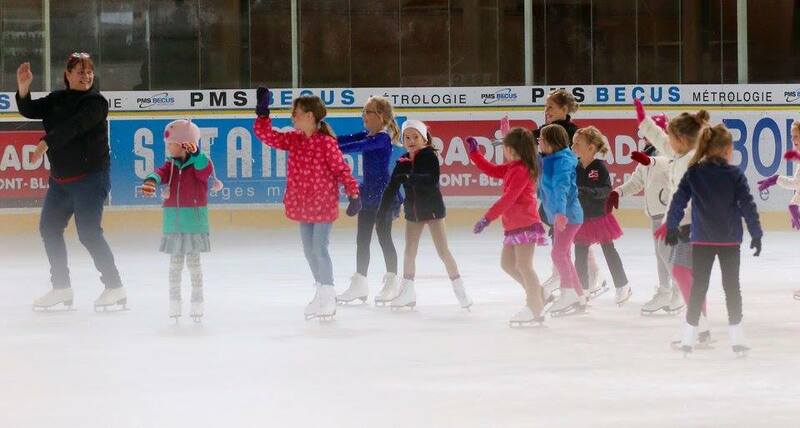 The “Panpans” group is new for 2016 and allows children from the age of 4 to experience the of joy of skating for the first time. For the skaters in the “Panpans” group we are offering a more flexible membership package. Like other groups they will need to take out the obligatory license from the FFSG (Féderation Française des Sports de Glace). However for their lessons they will be given a card with ten sessions that they can redeem when convenient. The card can also be renewed. ​Given the limited number of students allowed on the ice for these sessions (around 12) it will be important to make sure sessions are booked in advance to avoid disappointment. The next step for promising skaters is the Pré-Compétition group. Skaters for this group are selected by the coaching team. The aim for this group is to improve their technique and experience their both a departmental and regional competition. 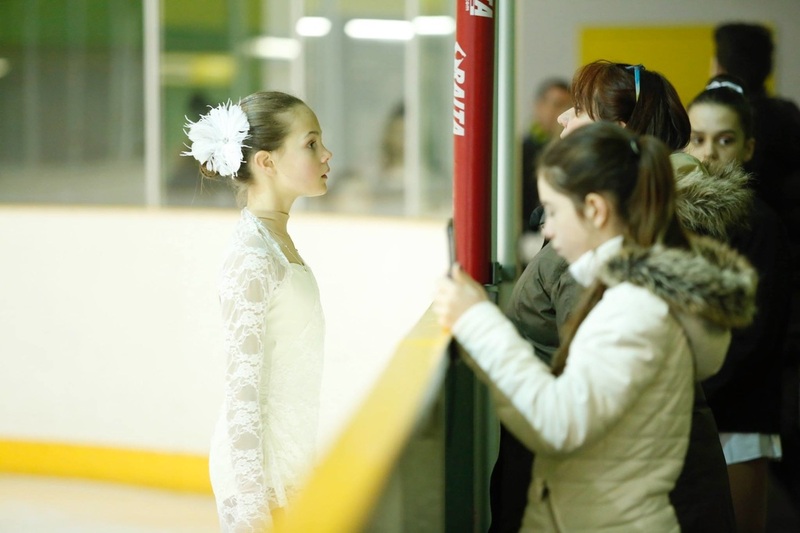 They will develop their skating techniques, learn to interpret music and take on more complex choreography for their competition routines. There are typically two on ice training sessions a week for this group and one off ice. ​This year they will also benefit from an additional ‘off ice’ training session to help them master key skating movements. They will perform in the Christmas show and work to pass their ‘federal’ medal tests. As it is a more serious level of skating with limited places, skaters are expected to attend regularly. Skaters in this group also benefit from intensive ‘stages’ in the holidays, combining skating lessons with dancing and physical fitness sessions. "Découverte" is our beginner group for people who have never skated before. Starting from age 5, skaters will normally spend a year in this class becoming comfortable on the ice and learning the basics of figure skating. These sessions are aimed at being a fun introduction to the sport. "Découverte" skaters will have one lesson a week and will learn to glide and stop as well as tackling some fun steps and basic choreography. From September to December they will learn to move on the ice as well as preparing a simple routine for the Christmas show. This is an exciting event for our young skaters when they can dress up and show off their skills to their families and friends. From January onwards the group work towards achieving their ‘patins’ - their first skating badges. This group is for slightly older and more experienced beginners who have skated before. Skaters will either move to this group in their second year after “Découverte”, or join this group directly if they are a little older or skilled. This is a fun year where skaters improve their basic skills and try their hand at their first pirouettes, jumps and arabesques. The "Initiation" group have one lesson of skating each week, with the initial focus on preparing for the Christmas show, then moving onto the technical skills required to get their remaining ‘patin’ badges. Skaters move to the “Détection” group after “Initiation”. Typically they will have skated for at least a year and have learned the basics of skating. These skaters will have one lesson on ice a week where they will work on more technical skills such as cross overs. This year we have also introduced an additional ‘off ice’ lesson to help them master key skating movements. This group will also perform in the December Christmas show and then in the following months they will be tested for the next level of skating badges, the ‘lames’. These start with 1ère lame and go all the way to 8ème lame. Skaters can stay in this group for several years, after which they may be selected by the trainers to move into competition groups. After one or two years (maximum) skaters in the Pré-Compétition group can move into the Compétition group. The aim is to train to take part in a number of departmental, regional and then national competitions. Each year they focus on perfecting technical moves and artistic interpretation as well as taking their tests for their next medals. Like other groups the skaters in the “Competition” group will participate in the Christmas Show. The “Competition” group comprises a number of groups of different ages and abilities. These groups will either train together or separately to allow the training team to provide a more focused training session where they can. Skaters in this group typically have between six and eight hours on the ice each week, supplemented with dance, physical training and off ice sessions. Skaters in this group also take part in regular ‘stages’ during the school holidays. They are required to attend at least one week of stage each holiday which will combine on and off ice training. Skaters sometimes move between “Compétition” and “Pré-Compétition” or “Ados-Loisirs” groups over the years depending on their time available and other commitments. The “Ados-Loisirs” group is for twelve to eighteen year olds. This group is for teenagers who would like to learn to figure skate, but may have feared they had left it too late. It’s also an ideal environment for teens who want to improve their skating but don’t want to take part in, or continue to take part in, competitions. 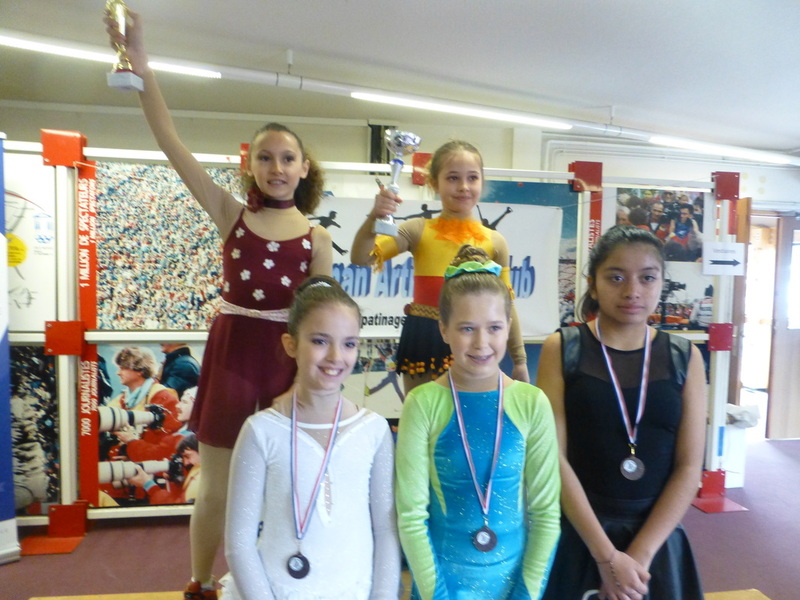 Members of this group will also be introduced to synchronised figure skating as well as taking part in the Christmas show and having the opportunity to take skating medals. In 2015 we started an adult section. 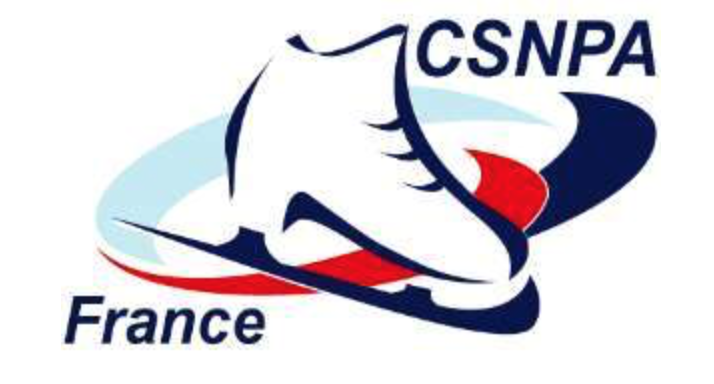 These evening sessions take place when there is available ice time and focus on providing a fun introduction for beginners as well as more technical lessons for advanced skaters. ​This year we are also offering an introduction into synchronised skating.